In February 1975, Elton released 'Philadelphia Freedom' – a song that was not available on any album and would not be until its inclusion on 'Elton John’s Greatest Hits Volume 2' in 1977. We have just added a video of Elton and the band performing the song in its namesake city in February 2002 at the First Union Arena to Elton's official YouTube page. Elton performs 'Philadelphia Freedom' live in Philadelphia, PA – February 2002. The stand-alone single, his second in a row – following Lucy In The Sky With Diamonds, entered the Billboard Hot 100 charts at #53 on March 8. Five weeks later it reached the #1 position, where it stayed for two weeks, spending a total of five months on the chart overall. Written on the label of the vinyl 45 RPM single were the words, “with Love to B.J.K. and the sound of Philadelphia.” Fans who wanted to decipher the cryptic first part of this dedication would have to go back 17 months to when one of the world’s most popular musicians first met one of its most successful tennis players. 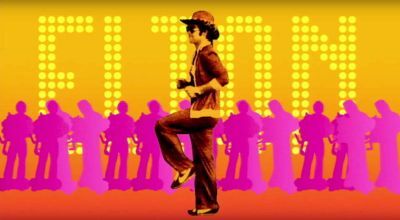 In September 1973, Elton was in the midst of a sold-out tour of the United States and was about to release what would be his most successful studio record ever, Goodbye Yellow Brick Road...the third of a total of six consecutive US #1 albums (and second of three UK #1s) for the superstar in the 1970s. Billie Jean King had been ranked the World Number 1 women’s player five times over the past seven years and was just coming off her fifth Wimbledon singles championship during that same stretch. 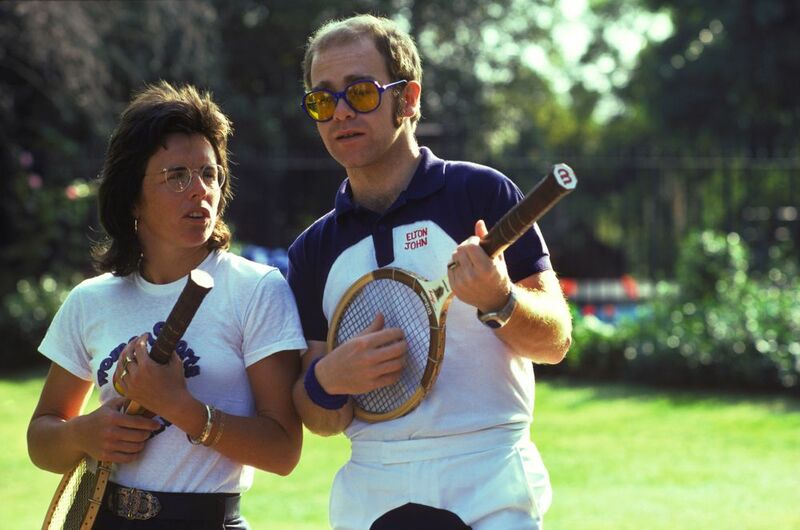 Perhaps most importantly, in two weeks’ time, she would alter the gender perception of professional tennis (and sports overall) with her victory against Bobby Riggs in a highly-publicized “Battle of the Sexes” exhibition match. 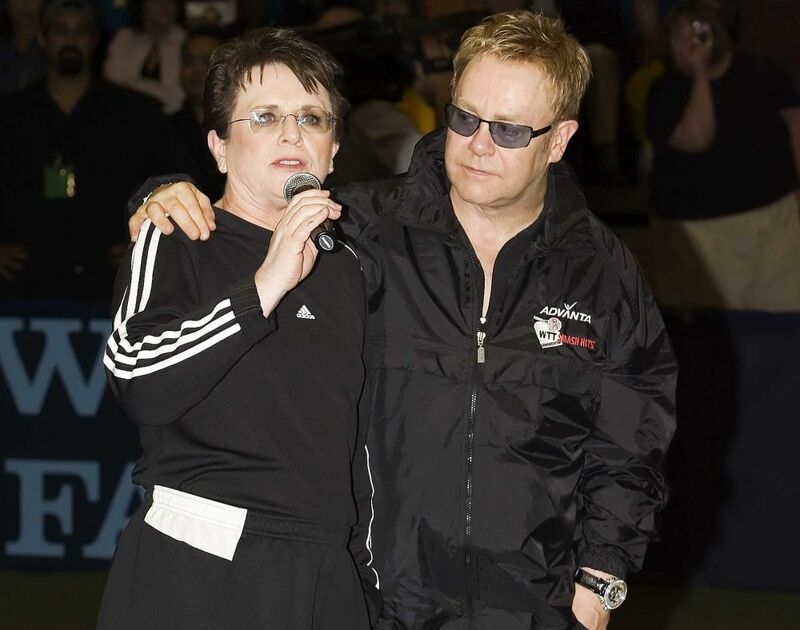 We spoke with Billie Jean King about the origin of her friendship with Elton, which remains as strong as ever and has resulted in the annual Smash Hits celebrity tennis fundraiser for the Elton John AIDS Foundation, and what is perhaps the only hit single inspired by a tennis icon. EltonJohn.com: How did you and Elton meet? Billie Jean King: [Promoter] Jerry Parencio threw a party two weeks before the King/Riggs match in September of ’73 in LA. When I got to the party I said, “Jerry, it’s great to see you…what’s this party for? Is it for you?” And he said, “Oh no, it’s for Elton John.” I said, “Elton John?? He’s my favorite! Are you kidding?” And of course, it brought back memories of when I first heard Your Songin 1971, I think. I was driving the hills of San Francisco, on Van Ness Street. I remember having to pull over to listen to it. I love anything with anybody playing keyboards. And of course, on top of that, he can sing unbelievably well. So I fell in love with Elton and Your Song and I had all his albums up to that time. EJ.com: How did Philadelphia Freedom come about? BJK: In the summer of 1974 we were driving to one of his concerts and he looked over at me in the back of the car (I can remember, he was on my right) and he said, “I want to write a song for you.” Of course, I didn’t think I heard him right. I turned scarlet red, I’m sure, and went, “Oh please. What? ?” And he goes, “No, I want to write a song, what are we gonna call it?” And I said [exasperatedly], “I don’t know!” Then he went, “How about ‘Philadelphia Freedom’?” Because I played for the [World TeamTennis] Philadelphia Freedoms and he used to come to watch our matches. I remember I got him one of our uniforms, made by Ted Tinling, our designer, who was English as well. I had Elton fitted at a hotel, and he would come to the matches and sit on the bench in his uniform and he’d just go nuts and scream at me to do better. It was hysterical! It was great. He was really intense…so enthusiastic. EJ.com: He is a wild sports fan. EJ.com: So calling it ‘Philadelphia Freedom’ appealed to you? BJK: I was thrilled. I said, “That’s great. It will be a great gift to the people of Philadelphia.” And the timing was perfect because of the Bicentennial being just the following year [from the song’s release]. And I love the word “freedom.” I would say it is one of my all-time favorite words since I was a child. I remember talking about freedom in elementary school. And I am the one who named the team the Philadelphia Freedoms. And then in 2009, I got the Medal of Freedom from President Obama…it just goes on and on. Elton says the reason why the song works so well is because “Philadelphia” is iambic. BJK: He wrote it in Caribou. He came down the mountain and we were playing a playoff game in Denver [the Philadelphia Freedoms played the Denver Racquets on August 25, 1974] and he said, “I want you to hear the rough mix.” I thought, “Oh my god, the rough mix is done already?” And he said, “Now…it’s just a rough mix…” He was so nervous. I said, “Elton, I’m sure I’m gonna love it, don’t worry!” And I said, “Do you mind if I have the team listen with me?” And we’re in the locker room…not real spiffy…and he put it the cassette player on the trainer’s table and I loved it within the first three notes. I love “the sound of Philadelphia” – we’d talked about that already, so he really went out of his way to get people from Philadelphia to arrange it. He said, during the part where he goes “Philadelphia”…”That’s you getting upset with an umpire.” [laughs] Walking up to the umpire…stomping: “PHIL. UH. DEL-phia.” I was laughing so hard. Leave it to him to have to teach you about his song, you know? EJ.com: So the first time you heard the song, you weren’t wondering when it was going to start being about tennis? BJK: We didn’t want it to be anything about tennis. No, it’s a feeling. It’s a great song for a team. It’s a great song if you’re not a team. The people in Philadelphia go, “That’s our anthem.” And half the time they don’t know the back-story. When I go to Philadelphia, which is often, sometimes you’ll hear it in the background – on the radio. And they’ll say, “Oh we love this. It’s the anthem to Philadelphia.” And then someone will go, “Well, did you know…?” [laughing] And then I’m asked to tell the story. When the song crossed over into R&B and it became a #1 single as well, that made his day. He sent me the 45, framed, with the picture sleeve in the back and the Billboard sheet from the week it went to #1. 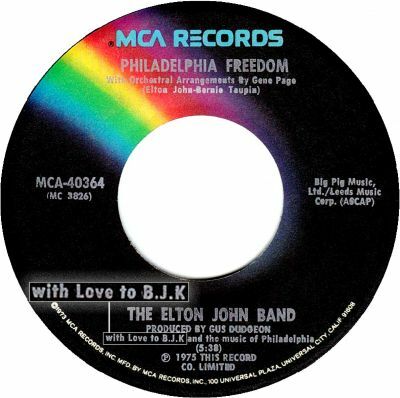 And on the 45 label, it says “With love to B.J.K.” I still have that at home, it’s really nice. 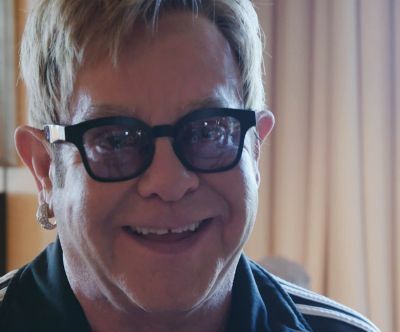 EJ.com: You and Elton remain very close friends and collaborators. 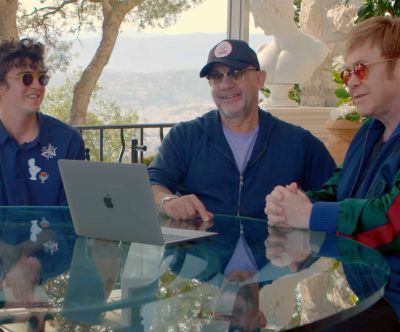 In a recent interview, Elton said that you continue to inspire him to do greater things.